Does anyone know why that is for me? Is it a browser update issue? There are other buttons that will allow you to navigate to other events. Open it up and give it a try. 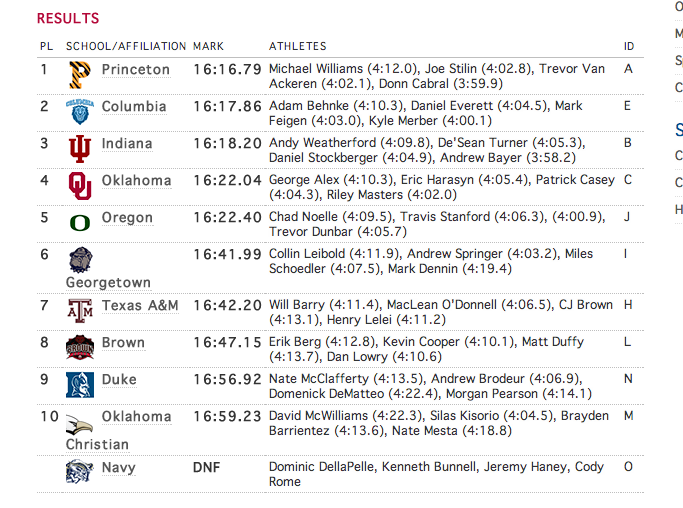 I’m using Safari, seems to work OK.
who ran the 4:00.9 for Oregon? It’s a blank, your guess is as good as mine. I was blacked out of the dang feed!